Every once and a while you get to see the final location of one of your paintings and it really makes you smile. 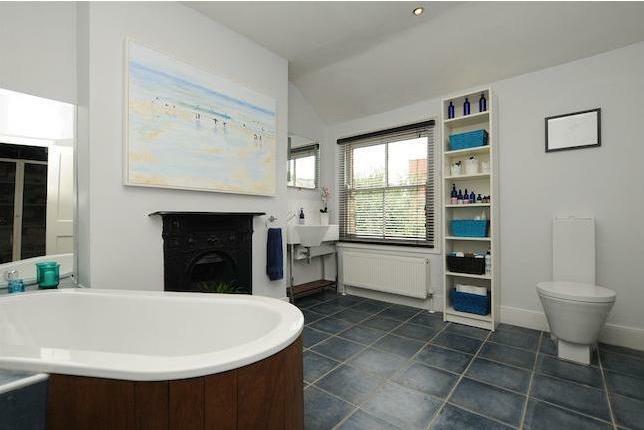 Recently in the London show my painting ‘Surfing despite the weather’ was bought and has realized its new home in a beautiful modernised Victorian bathroom in North London. The painting was inspired during a visit to St Ives Porthmeour beach in Cornwall, it was mid summer, overcast and after a sudden downpour the surfers came flooding out of the woodwork and hit the waves.